Inertia. Let's talk about that right at the start. Closely modelling the BT Advanced Training System, the RevBox Erg does things smaller and lighter, and sheepier (first and last NZ joke, I promise!). Weighting in at only 9.5kgs with a cassette is a welcome change from having to haul 20kg+ around the workshop for reviewing purposes. The overall build is what I'd call industrial looking. Fitting for the purpose of it being a training tool rather than a showpiece (Neo, I'm looking at you and your flashy lights!). At 645mm high and 670mm wide (the feet) it isn't overly portable. Although the feet do come off making the unit only 120mm wide (and as wide as the axle at the maximum point). The rear axle sits at 330mm, the same as the Wahoo Kickr and LeMond Revolution. As-is the RevBox erg itself has no sensors or electronics. It's a standard trainer, or 'dumb trainer' to use market terminology. There's an add-on sensor kit for an additional cost (covered below). This unit I have was purchased around 12 months ago and has had approximately 90 minutes of use. There have been minor revisions in the latest models - all cosmetic I believe. 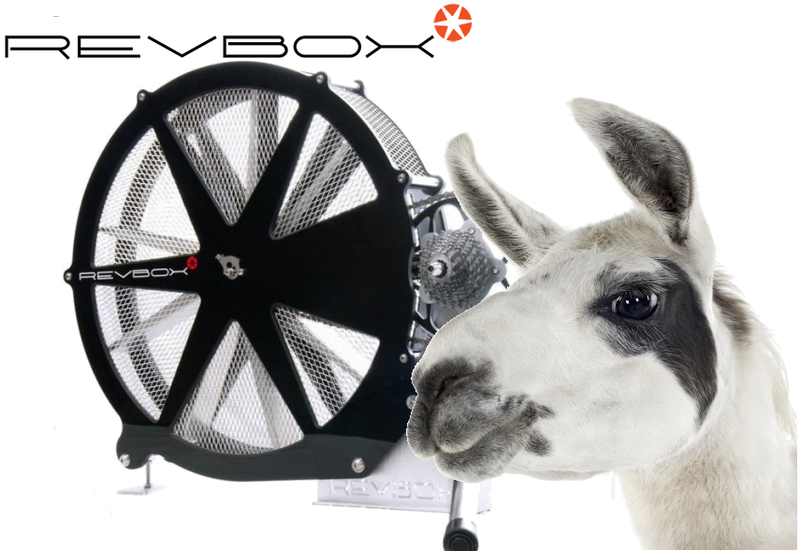 The RevBox Erg is listed at NZ$1,380 (US$964) as a base unit with no cassette. According to KickTraq, RevBox failed to meet their goal of raising NZ$50,000 in their Kickstarter campaign, reaching only 33% of that target in the required 45 day timeframe. Admittedly the ergo space will never be an easy market to enter, going head to head with well established global players such as Tacx, Wahoo, Elite, who all have an array of trainer choices. RevBox does have a unique value prop though, the low inertia 'windbrake' flywheel. After the first few pedal strokes I experienced exactly what low inertia meant. In an low gear the crank will accelerate and decelerate through the pedal stroke as the flywheel changes speed. This was definitely a change up to the normal muscle firing patterns I'm accustomed to on ergos and out on the road. It took a few minutes for me to smooth out my pedal stroke as I took it for a spin around virtual Richmond on Zwift. I found sprint efforts on the RevBox are different to sprinting on the road, track, or other ergos. Normally when you hit out in a sprint you'll wind up the RPMs throughout the sprint effort. The RevBox will to peg you bang on your peak power for the duration and won't spin up higher cadences. You'll never get 'on top of the gear' or spin out on the RevBox. Note the initial spin up with lower power than a standard 'kick' sprint, and a very flat-line cadence. Standard spike and gradual rising of the cadence as the gear winds up. That's the effect of an 'windbrake' trainer. It feels like trying to walk forward with someone pushing back on your head. This is good for keeping the power to the pedals, maybe for building strength, but is a very different to sprinting as I know it. The video below might demonstrate this better. So it's hard work, is it better work? That's a rabbit hole I won't chase. There's a ton of science both supporting low inertia and equal amounts saying the results are inconclusive. The noise. This up there with the LeMond Revolution to when it comes to banging out the decibels! 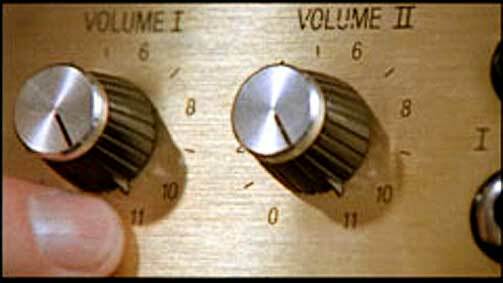 On a scale from 1 to 10, this unit sits at 11. Now the other pitch. One quote I'll have to pull out from the Kickstarter promo video is that the RevBox provides a "more constant and realistic cycling motion". My experience is the opposite. The pedalling motion feels inconsistent and the low inertia isn't anything like cycling outside. This isn't a criticism of the unit. Just a clarification on exactly what this unit does under load. RevBox have a free app available for Android (IOS soon) that when paired with RevBox Bluetooth sensors gives you stats from the unit such as power (estimated power based on calibrated speed curve with quoted accuracy of -+5W). Along with the stats there's a swag of training features we've come to expect with similar ergo apps. The app is a nice value add for the unit. Having to buy their specific speed and cadence sensors (NZ$199) and HR strap (NZ$129) is going to be one hurdle too high for some. Especially given the installation of the sensors and magnet isn't all that easy either, requiring a 14(!) image installation guide. My thoughts on this? They need to open up the app to allow any Bluetooth sensor. You're already a RevBox customer if you're loading the app. If not, maybe you'll love their app and use it for training. That's a win-win, well close. BT have allowed more user flexibility with their ergo by supplying ANT+ sensors and USB sticks for use with third party software such as TrainerRoad. Ideally I'd like to see RevBox take the same path as LeMond and produce a "WattBox" that did all the legwork and sent an ANT+ power figure to whatever app/head unit you liked. This would remove the virtual cuffs and universalise things a little more. User choice is a good thing! Note: Estimating power based on speed curves means peak power during acceleration may not be within the specified accuracy estimates (-+5W). With strain gauges it's a no-brainer getting peak power values. With speed curves and estimated power, it's a mathematically difficult problem to solve (sensor frequency into play... another rabbit hole). The team replied to all my queries during this review in no time at all. This might have been a benefit of them being only a short hop over the Tasman Sea in New Zealand. Regardless, two thumps up there. I see this unit as a training tool with specific application. Be that rehabilitation after accidents and injuries or maximal power low cadence sprints if that's what you need to work on to beef up your cycling. If you're looking for an everyday trainer that replicates real-world riding, there are smart trainers packed with technology in the same price bracket that will outperform the RevBox Erg for that task. As always, let you legs decide and try one yourself. - Unit age/usage information added. - Owner requested this unit be put For Sale, has no use for it ongoing. I think a good honest appraisal. I note that the thing moves around like its got its own heart beat! Good review Shane. My experience and research with different kinetic energy cycling trainers, including developing the test ergometers for the AIS and other test/research centres has shown differences in physiological parameters such as Vo2, HR etc with changing KE for the same power. Also don't forget that with any air braked fan ergometer the power is determined by the speed of the fan AND the air density. Just like in a TT you go faster when the air is less dense, the fan also spins faster for the same power. If you are basing power of the fan speed, you need to have an offset for the air density for accurate results. Cheers for the comment Raoul. I was hoping you'd see this post. :) In the process of the write up I asked RevBox if the power estimation was based at sea level, no direct answer on that. I'll have to assume this was the case. Having used the LeMond Revolution at Falls Creek (~1500m) I have first hand experience at higher flywheel speed at altitude. It was quite an interesting experiment, and made for a tough workout for sure. What happens is at the higher fan speed with lower air density the KE is then higher for the same power. The workout then becomes more anaerobic as the muscle needs to fire quicker to keep up with it. Would this be similar to riding a kickr in erg mode in a very low gear? That is, where almost resistance comes from the electromagnet, rather than spinning up the flywheel. No. I cant compare this erg to the feel of the Kickr in any way, in any gear.